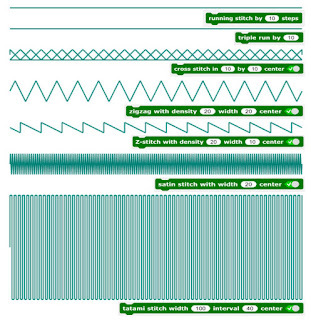 I am excited to share that my tutorials are finally put up on TurtleStitch! I am so proud of the work I have done last year, and it is amazing that my work is published online. Through the two tutorials, stitching a line and stitching a circle, I hope it will encourage more people to code and understand the basic concepts of TurtleStitch. When creating these, I thought to myself, how can I make people who are new to the program understand how the blocks work?, so I made comments next to each block. 5) Click on a tutorial and "open"